"Our purpose is to meet the construction needs of our customers with integrity, honesty and dependability." Joe Hokanson has over 17 years of successful self-employment experience as a remodeling and new construction contractor in Wisconsin. He has been serving the South Shore area and surrounding Bayfield and Ashland County communities since 2004. Joe has an Associate of Technology degree in construction from Andrews University, Berrien Springs, MI. Plant Services Director and General Contractor of Campus Development at Wisconsin Academy in Columbus, WI. Construction Project Supervisor for humanitarian projects in various countries including the Marshall Islands, Belize and Zambia. 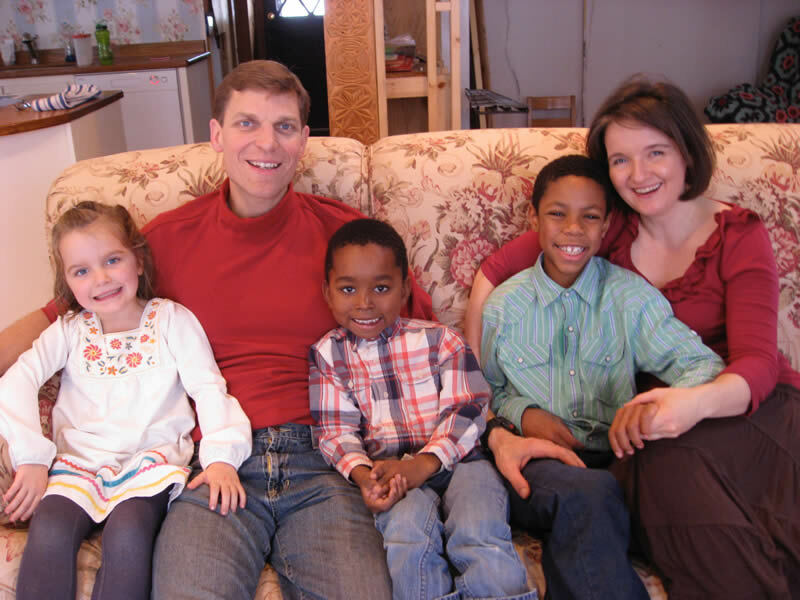 Joe’s wife Laura has previous work experience as an Occupational Therapist and as Director of Philanthropic Development for non-profit institutions. Currently she manages the office for Bark River Remodeling while home schooling their three children. Joe’s aim is to make the construction process as smooth and stress free as possible while maintaining high structural standards. It goes without saying that people want a quality end product, but can they get it without the headache that usually comes with construction? That’s the difference Bark River Remodeling makes. 90% of our customers are vacation homeowners who have primary residences elsewhere. The majority of the time they are not on site during the construction process. They need a carpenter they can trust, not only to do good work, but to respect their property in their absence. They choose Joe Hokanson of Bark River Remodeling. Customers receive regular phone updates throughout their project and are encouraged to call Joe on his cell phone anytime with questions or comments. When you choose Bark River Remodeling you can expect timely communication throughout the project from the initial phone call until the last nail is pounded. Joe texts or emails photos of his work in progress on a weekly, sometimes even a daily basis depending on the nature of the job. Customers are able to make accurate decisions on their projects from hundreds of miles away. 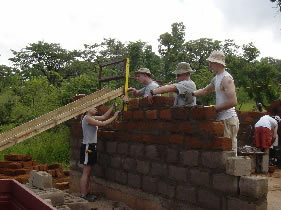 Joe with his students building a medical clinic in Lusyomo, Zambia. for humanitarian projects in various countries including the Marshall Islands, Belize and Zambia. We occasionally consider jobs beyond this area. Bark River Remodeling is licensed for Wisconsin locations only. © 2018 Bark River Remodeling. All Rights Reserved.